Home Personal Finance Which Money Saving App is the Best for Personal Finance in 2019? 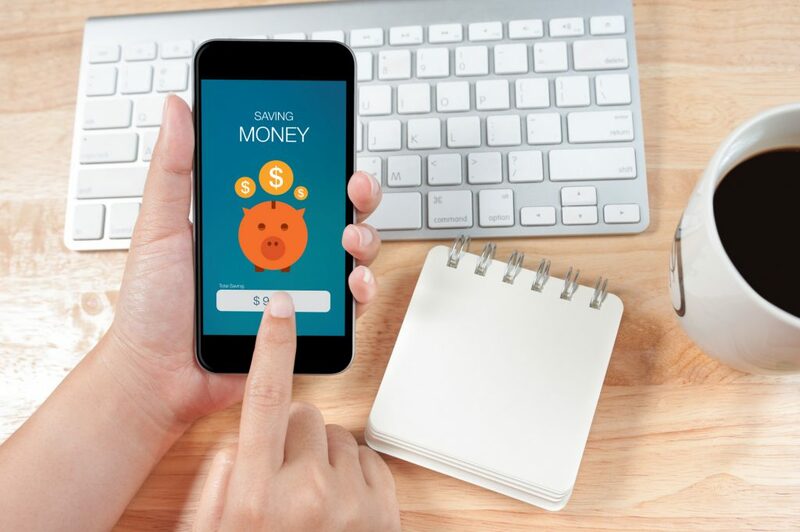 Which Money Saving App is the Best for Personal Finance in 2019? 78% of Americans say they’re living paycheck to paycheck. You may be one of the Americans that are feeling this financial stress but are ready to get out from under it. You’re not quite at a place where you can hire a financial adviser, but you need help. Enter – the money saving app. But which app do you use? Continue reading this article to learn your options and which is the best money saving app. Help Me Money Saving App! It’s easy to feel like you’re drowning in debt. Even if you’re not in debt, one little accident could turn your financial world upside down. Instead of being caught off guard, hope for the best and prepare for the worst. Having a good checking account and a good bank isn’t enough to solve your financial woes, but it is a good start. With any of the apps we mention below, you’re going to need one. When you work on your finances, you may want to have more apps than one. We’ll list a few and give you our opinion on which app is the best if you have to pick between them all. The Tony Robbins money app is a free app that gives you financial advice from Tony & his guest experts. The app promotes holistic steps to achieve your financial goals. You can also use the app to calculate your financial goals and dreams so you can see where you are and where you need to go. The SavingStar app focuses on savings when you’re shopping at the grocery store or pharmacy chains. You can save money on many different types of consumer goods products. The app is easy to use by linking your reward card to the app or by scanning your receipt with the app. Doing this will get you more discounts and promotional offers so you can save more money. Acorns is an interesting app for finance. It doesn’t help with savings or budgeting. What the Acorn app does is link with your debit card to pick up spare change and funnel it to an investment account. Let’s say you spend $4.25 at the store. Acorn would round your $4.25 purchase up to $5 and put $0.75 to your investment account. There is a $1 a month fee each month if you have less than $5,000 in the account. If you have more than $5,000 in the account, you pay 0.25% per year. If you have an individual retirement fund, then you’ll be paying a $2 monthly fee. Wondering what is going on with your spending but don’t have the patience to track it manually? Mint is a great app that will help you see what you’re depositing, withdrawing and spending. You can see real-time spending as well as pay bills through the app. Some of the updates don’t happen as quickly as users would like, but most of the functions work well. The primary features of MyBudgetBook are to understand financial budgeting and tracking. When you purchase anything, it shows you the impact it has on your household’s budget. MyBudgetBook is available in multiple languages and has easy to understand guides. There is a decent learning curve, but the long-term results will help you live a more responsible life financially. Quicken is widely known as a bookkeeping and accounting product, but that’s not all there is to Quicken. You’ll be able to track spending, expenses and see when you’ve spent too much. Quicken helps to fight financial fraud by offering strong password access, and you’re notified if there are any purchases that look fraudulent. Keeping track of your card accounts and ensuring they aren’t compromised can be a pain but Quicken can take care of the tracking for you. When you use Betterment, you’ll work with robo-advisers. Robo-advisers are used in the digital investment software to give you a plan for your finances. If you aren’t confident in the robo-advisers, you can up your plan to a higher percentage of management (a higher cost) and speak with real live advisers. If you want to be hands-off then, Betterment may be a good app for you. The idea is to follow the app’s plan for financial security. Qapital is more of a mobile banking platform even though it is focused on saving money. The free app allows you to round up your regular purchases and even reroute cash from your check to the Qapital savings account. Prism is designed to help you take the pain out of bill paying. You can see all of your bills in one place along with your account balances. This free app allows you to set up payments, make payments and you even get bill payment confirmation on your smartphone. Now that you know a few of the apps that will help you save money and gain control of your financial game, which app do you choose? Which app is the best for your life and your family? As you’re looking at all of the available apps, you need to figure out what your most pressing issue is right now. If you’re drowning in debt and you need to stop overspending them one of the apps like Quicken might be a good option for you. If you want to invest more money without feeling the pain in your pocket, then Acorn might be the option for your family. There is no cookie cutter action because everyone’s finances are different. Do a self-analysis and then get started with your plan and see it through to the end. Having a money saving app is a good idea, but there are more things you can do to make your financial life a healthy one. Hope isn’t a strategy, and you’re going to need a strategy to stop living paycheck to paycheck. Read our article on how to spend less to get more ideas that will help your financial situation.